Often, the only way to drive cultural changes and to right abuses that engulf our world is to take action against such abuses, to stand up against wrongs and "be counted". However, we know that this is often impractical and can be dangerous. So, if YOU know something and need someone else to do something about it – please tell us. 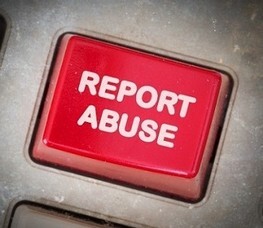 We endeavour to take action, ensuring offenders are reported, campaigns are fought, and wrongs are put right. We act with discretion and always carefully put the safety and security of the individual or the patient first. But we believe in ACTION. Supporting individuals who have the courage and strength to report crimes and abuses within the mental health system. Supporting and protecting those whistleblowers who want to right the wrongs they have been supporting. Helping professionals who are being harassed or victimised for speaking out. Helping investigate reported crimes or abuses within the mental health system. Helping professionals to effectively and confidentially report crimes to the correct agencies or police departments, without being victimised for doing so. Therefore, the whistleblower must be protected at all costs and allowed to report such crimes without harassment or threats. Too many stories about the whistleblower losing their job, being harassed or victimised for daring to speak out and report abuses. CCHR South Africa, aware of many such cases, provides a confidential and safe platform for whistleblowers to tell their story. In many cases, CCHR can assist individuals in advice, writing complaints, referring to professionals who will protect their identity, report the crimes safely, and help to protect their livelihoods.